When used as electrode material, ultra-thin MicroGrid® expanded metal foils improve rechargable battery and supercapacitor performance. Expanded metal mesh used in place of the solid foils provides greater surface area per unit weight of metal in the battery. This results in better adhesion of the electrode layers and higher ion transport rate, thus greater energy density capability. 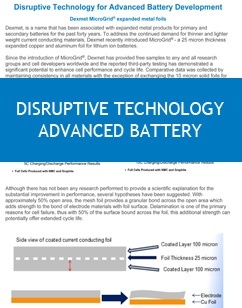 Download this valuable guide to using new developments in expanded material for advanced battery applications. 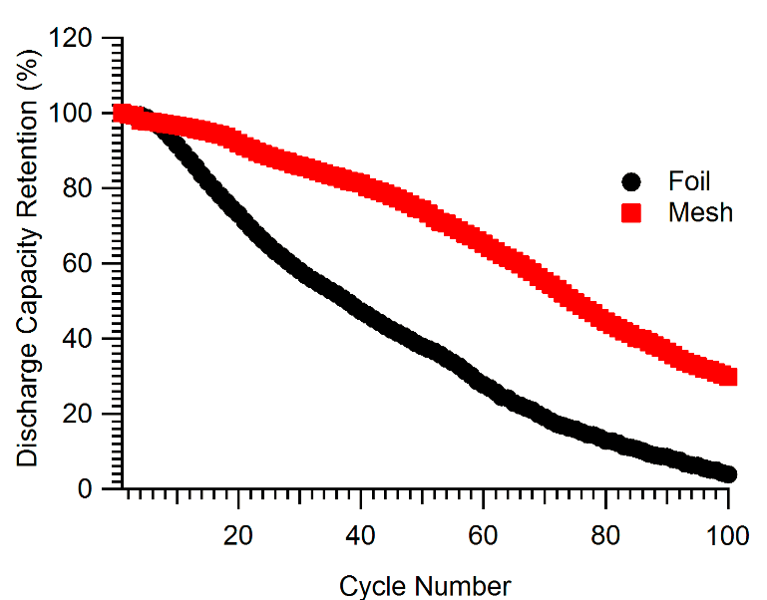 Utilizing an open area product will enhance the performance of the secondary battery cell. 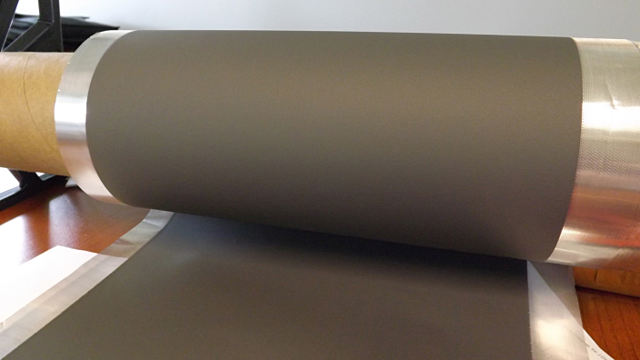 Dexmet's MicroGrid® 25 can offer a number of performance advantages over solid foils. The open area of the MicroGrid allows for more active material per thickness of the anode layer. 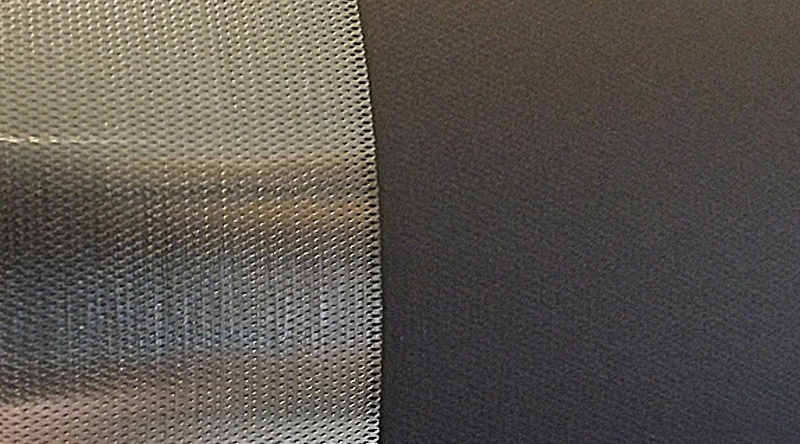 Dexmet is the only expanded metal foil manufacturer in the world with the in-house capability to apply special coatings to the material after it has been expanded. Adding a graphite or other special coating can further improve the adhesion of mesh, lower impedance in the cell, and improve your battery’s performance. Contact one of our advanced battery experts and discover how open-area materials can improve the design of your secondary battery.